Genesis, past and future all at once. I know full well there are those who might think that guy I once was amounts to a kind of Romantic type. I know this because the type has been lauded in movies for years: Amadeus, Titanic, etc. I know some might see my response as the artistic, back-of-the-hand-to-the-forehead kind of thing that works well in a two hour screening. But, it actually makes me ill, now, to think I said that to her. Fact is, it was partially the truth. I would never want to be without either Karen or without music. But, to see one’s art as more important than one’s connection with the woman he loves… Ridiculous. 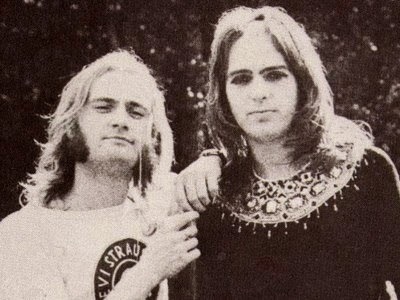 I was watching a documentary on Genesis (the band), the other day, and I found out the real reason Peter Gabriel left the band. It wasn’t the immediate cause, but I conclude that it is the situation that lead up to the break-up…and to the fact that he will never, in this life, be part of a band with them again. It turns out his wife was pregnant and the delivery went poorly. The baby was in danger of dying. Gabriel and the band were recording The Lamb Lies Down on Broadway and Gabriel would record during the day and then travel a great distance to the hospital to be with his wife. At one point, when things got bad he began missing time with the band to be with his wife and child. By Mike Rutherford’s (thankfully) remorseful admission, the band was not supportive. In fact, they gave him a hard time about missing sessions and they questioned his "dedication to the band." Would you stay with that band? 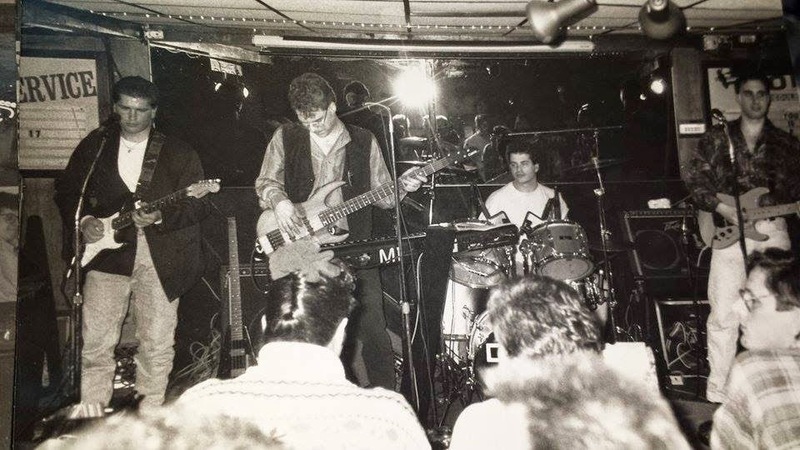 Me, the jackass on the drums, right around the era mentioned. Granted, art is a strong pull on the artist. I don’t “enjoy” music. It is not a “hobby.” It is not a way to blow off steam and it has never been a “way to get girls” for me. Music is part of me and it is something I cannot live without, truly. But why do we get blinded by ideals or passions into missing what is real? Even smart people. How could a bunch of guys, who I presume are not evil, not give their lifelong friend a little slack when his baby is in danger? How can a guy who is at least intelligent enough to get a master’s degree from a venerable university not see that love trumps music? Maybe “immaturity” is the simple answer. It would be cool just to say, “Oh well, that’s the way it goes…” if only this immaturity didn’t sometimes make for very sad matured people, down the line. Could overcoming crippling immaturity that walks about in the guise of passion be our greatest obstacle in life?